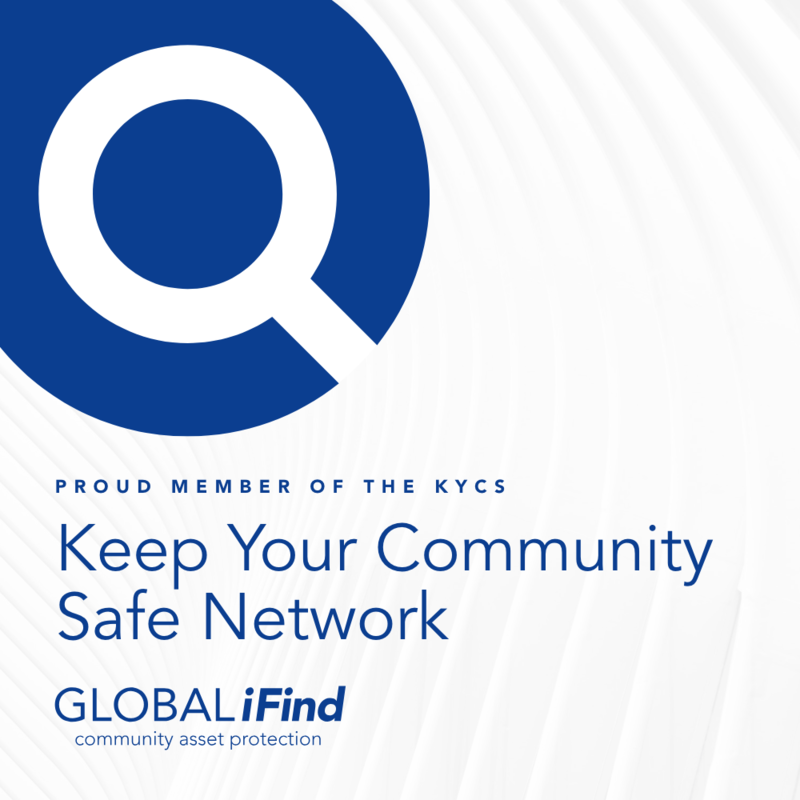 November 26, 2018 – We are proud to be part of the growing Keep Your Community Safe (KYCS) network. KYCS is a Canada-wide network of groups and businesses committed to keeping our communities safe. For the average person joining the program begins with a download of the free KYCS app from the Apple Store or Google Play. Once you have the app installed on your smartphone, there is a simple registration process which allows you to join one or more of the Community Watch Networks. Through Global iFind you can also have a special Bluetooth Identification Device installed in your vehicle, ATV, RV, Boat and more. There are no monthly fees. The unit is weather resistant with a battery life of up to 60 months. Should your vehicle or property be stolen, you may share your lost items with the KYCS network. When your vehicle or property is in range of a KYCS app user the Bluetooth Identification device will send you it’s last known GPS location. Monitor the whereabouts of your vehicles easily. Our recovery network is used by law enforcement officers to locate and identify stolen items. It is all part of belonging to the KYCS community.